Chris Farrell has over 18 years of development experience, and has spent the last seven as a .NET consultant and trainer. 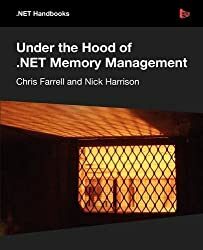 For the last three years, his focus has shifted to application performance assurance and the use of tools to identify performance problems in complex .NET applications. Working with many of the world's largest corporations, he has helped development teams find and fix performance, stability and scalability problems with an emphasis on training developers to find problems independently in the future. In 2009, after working at Compuware as a consultant for two years, Chris joined the independent consultancy CodeAssure UK (www.codeassure.co.uk) as their lead performance consultant. When not analyzing underperforming websites, Chris loves to spend time with his wife and young son swimming, bike riding, and playing tennis. His dream is to encourage his son to play tennis to a standard good enough to reach a Wimbledon final, although a semi would also be fine.